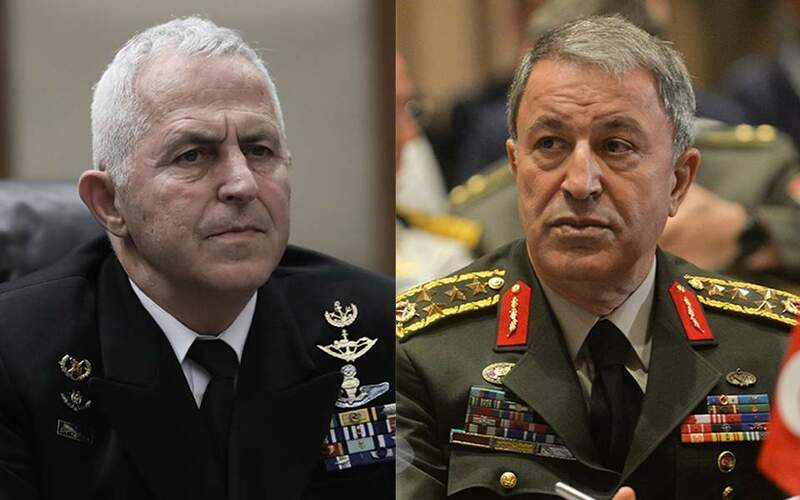 Greek Defense Minister Evangelos Apostolakis is set to meet his Turkish counterpart Hulusi Akar as the pair will continue exploring ways to keep channels of communications open between Athens and Ankara during NATO’s ministerial summit in Brussels on Wednesday, Greek newspaper Kathimerini reported. The meeting of defense ministers follows Greek Prime Minister Alexis Tsipras’ two-day visit to Turkey on Feb. 5, where he met with Turkish President Recep Tayyip Erdoğan and visited the Halki Theological Seminary in İstanbul. The visit was overshadowed by Ankara placing a bounty on the head of the eight servicemen accused of taking part in the coup attempt in 2016 who Greece has refused to extradite the day of Greek premier’s visit, Kathimerini said. Turkey maintains military presence in the East Mediterranean, it said, noting that there has been no letup in the incursions of the Barbaros Hayreddin Pasa survey vessel in Cyprus’s exclusive economic zone (EEZ) while Turkey has announced its second drillship to be sent to the oil rich waters. Turkey has made its intentions to drill in areas west of the divided island of Cyprus known, in spite of protests from the Greek Cypriot and its allies. Some of the areas explored by Turkish vessels lie in the exclusive economic zone claimed by the Greek Cypriot administration which has caused increased tensions between Ankara and Athens. While the dispute in the eastern Mediterranean over gas explorations on offshore Cyprus continues, both Turkey and Greece have been stepping up their own surveying and drilling efforts. Apostolakis and Akar are expected to discuss confidence-building measures to prevent any escalation in tensions between the two countries, Kathimerini said, noting that Apostolakis is expected to the raise the issue of Turkish overflights in the Aegean. Picking up where Prime Minister Alexis Tsipras and Turkish President Recep Tayyip Erdogan left off last week, the defense ministers of both countries will continue exploring ways to keep channels of communications open between Athens and Ankara in the context of NATO’s ministerial summit in Brussels on Wednesday.